What is the one downside to a traditional adjustable chaise lounge? You have to force your languid, relaxed body to stand up, walk around to the back and adjust the brackets if you want to change your angle. Leave it to Homecrest to conceive a way to eliminate this inconvenience. 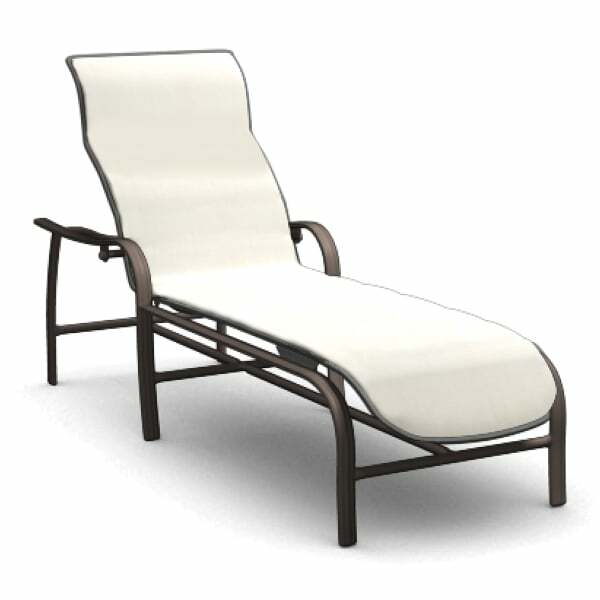 The Holly Hill Self-Adjusting Chaise is exactly what its name implies; self-adjusting. To change the angle for reading, daydreaming, or sunbathing simply lean forward or lean backward; the chaise will adjust accordingly. The Holly Hill Self-Adjusting Chaise is so much more, however; constructed with Homecrest’s expertise and the finest materials, it is crafted to endure the elements and Homecrest’s exclusive double sling contributes to the exceptional comfort you will enjoy, year after year. Relax! It’s Homecrest.